Within a 100 km radius of Jagadguru Kripalu Yoga and Naturopathy Hospital, Odisha, there are several tourist attractions one can visit. Taxi services are easily available for all the nearby tourist places. 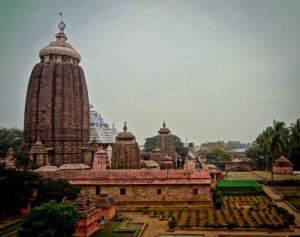 Just a few hours drive from the Naturopathy Hospital is the famous Jagannath Temple located in the coastal town of Puri, Odisha. This is an ancient Hindu temple dedicated to Lord Jagannathan and is considered a must visit pilgrimage destination India. The Sun Temple at Konark, Odisha is a 13th-century stone temple dedicated to the Sun God. Though now in ruins, the structure gives a peek into the architectural marvel it once was. A magnificent chariot of the Sun God, with wheels and horses, intricate artwork and themes all craved in stone. 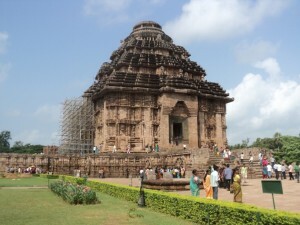 It is one of the most popular tourist destinations in Orissa and a World Heritage Site. Nandankanan Zoological Park is a 400-hectare zoo and botanical garden in Bhubaneswar, Odisha. 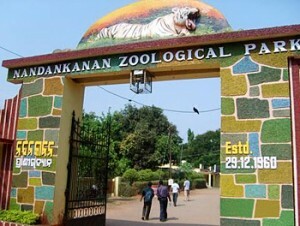 With over 166 species of mammals, birds, and reptiles, this zoo is famous for its white tigers, crocodiles and black panthers. This is the nearest tourist destination from Jagadguru Kripalu Yoga and Naturopathy Hospital, Odisha. 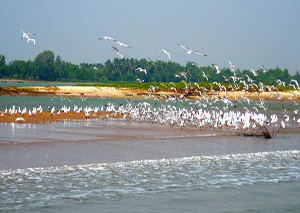 The Chilka Lake is the largest coastal lagoon in India and is the wintering ground for a large variety of migratory birds, which come here from across the world. Spread over Puri, Khurda and Ganjam districts of Odisha it is located at the meeting point of Daya River and the Bay of Bengal. This bird sanctuary is considered a bird watcher’s paradise. Other than these, about 28 Kms from Jagadguru Kripalu Yoga and Naturopathy Hospital, Odisha is the capital city of Bhubaneshwar. Popularly known as ‘The Temple City of India’ it is home to many beautiful Hindu temples like the Lingaraj Temple, Mukteshvara Temple, Rajarani Temple and several others. Also there are Jain and Buddhist religious places of interest nearby like the Udayagiri-Khandagiri Caves and the Dhauli Hills. And much more for you to explore.